Do You Really Need a GPS? 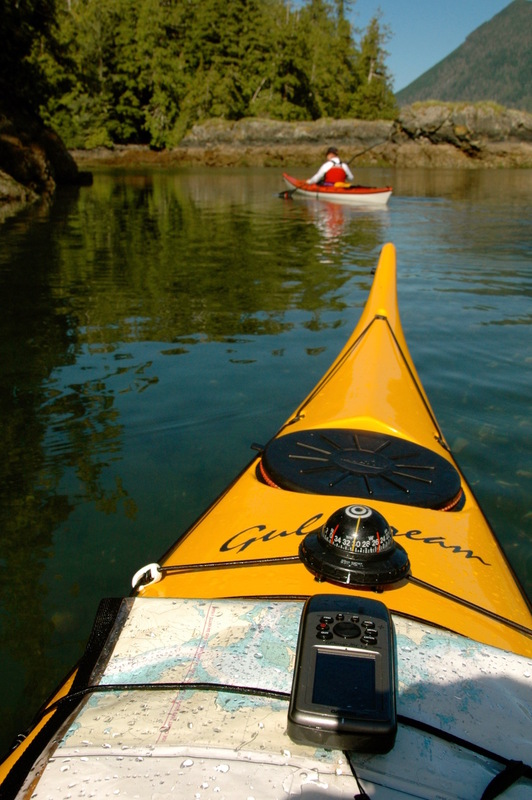 Do you really need to take a GPS on your paddling adventures? The simple answer is no, but there are some very compelling reasons why they can be a valuable asset. However, if you do decide to try one, don’t expect to be able to plug in your destination and happily follow the arrow and turn directions until you arrive. 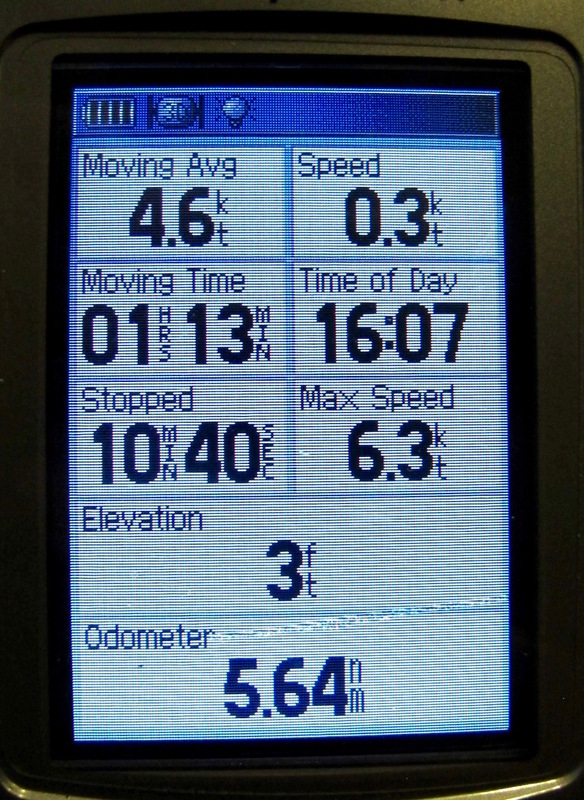 The small handheld units suitable for a kayak or canoe don’t operate the way the one on the dashboard of your car does. 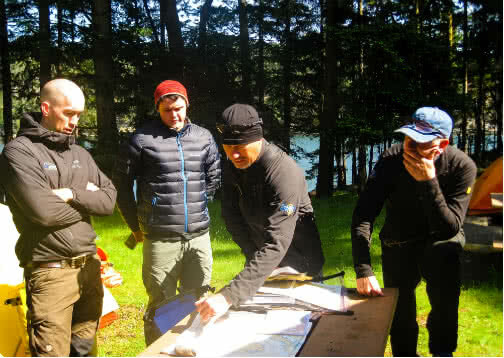 Also, don’t make the mistake of thinking you can use a GPS unit to replace your paper charts and compass. You do not want to place all your trust for your navigation in a device that has the potential to fail. The most obvious benefit of a GPS is to provide you with accurate, detailed information about your position, your route and your destination. This is particularly helpful when travelling in unfamiliar waters. Before you leave on your trip you can manually enter waypoints for the destinations you want to reach or points you need to make. This is especially useful if you get caught out in the fog and lose sight of your destination. The GPS will also be able to tell you the distance to your next waypoint and the estimated time of arrival based on your present speed. 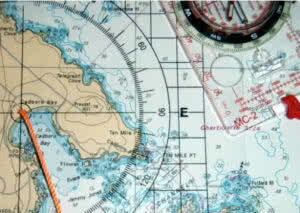 Not being exactly sure exactly where you are or which point you are looking at happens to even the most experienced navigators. A GPS can be invaluable in helping you can confirm your position on the chart either by using the map display or checking you latitude and longitude. If there are places you want to remember, like special campsites or great beaches, you can use the waypoint button and mark it. Add a name and you will be able to find your way back next time or pass the tip along to a friend. 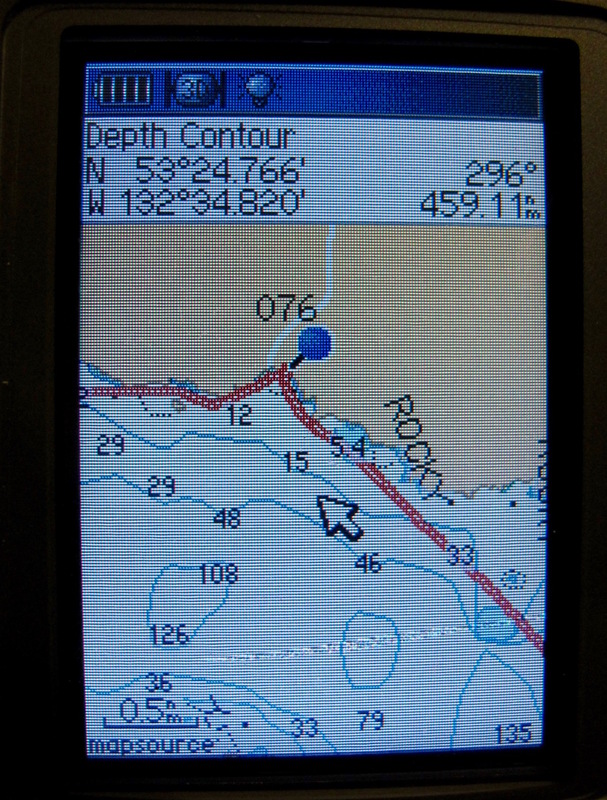 If you have ever attempted a long crossing in low visibility conditions relying on a chart and compass you will really appreciate the benefits the GPS can offer, particularly if you are crossing channels with lots of current. The GPS can take a lot of the guesswork out of equation and let you know if you are drifting in one direction or the other. If you just have a cell phone or standard VHF radio with you, you can provide rescuers with your exact location using your GPS. If you are traveling with a satellite messenger, PLBs or a DSC Equipped VHF Radio they will provide that information automatically. For more information on these devices, see our blog post on Emergency Communication Devices. 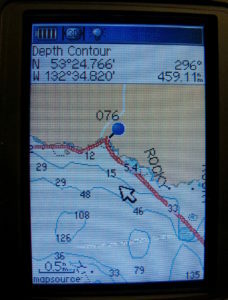 All GPS units have some sort of compass feature. It can be handy for hikers trying to save weight, but it is not a feature I personally use as I rely on a good quality deck mounted compass and recommend you should too. 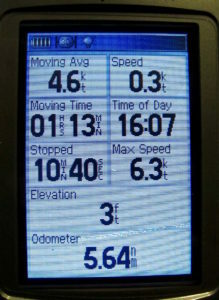 GPS’s can provide you with other accurate information which can be very useful, including the speed you are paddling right now, your moving average, which gives your speed over time not including stops, your speed made good, your progress over time including stops, trip odometer or total mileage since you last reset it. You may think that you don’t care how fast you are going, but this is actually a very useful bit of data. There are many situations where you may not be aware of how much current is with you or against you or how a head wind may be affecting your forward progress. This can seriously affect your estimated time of arrival at a location. 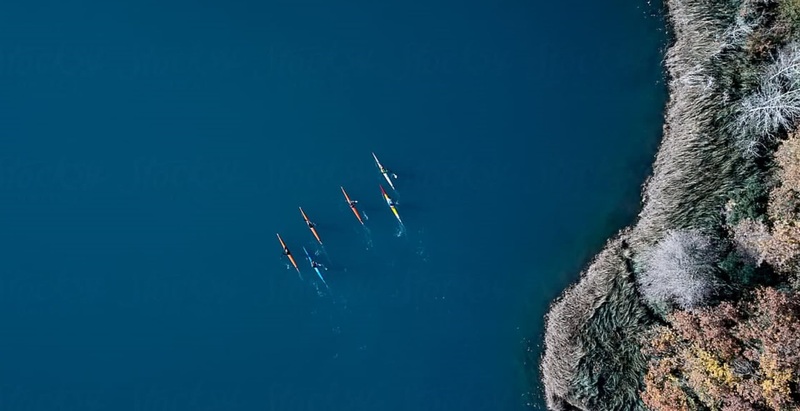 For example, if you planned your route thinking your average paddling speed is 3 knots in normal conditions, yet in reality you are only making 1 ½ because of current or wind, your anticipated 2 hour paddle has just become 4. In situations like this sliding closer to shore and taking advantage of eddies and slower water can make a profound difference to your headway. 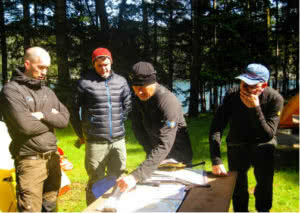 Beyond the very practical use just described, the GPS can also help you understand your normal paddling pace and how different factors affect you, such as when your kayak is loaded, the type of paddle you are using, your technique, what happens as you get tired and how different sea conditions affect you. 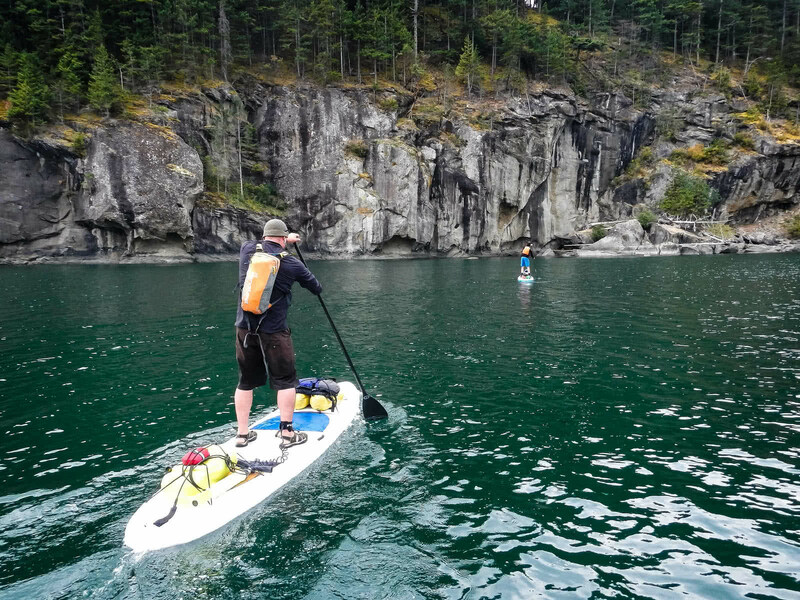 This can all add up to a better understanding of yourself and your paddling, and perhaps lead to better decisions when you’re on the water even without your GPS.